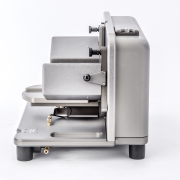 For routine measurements of thin film thickness and refractive index, this ellipsometer allows you to mount a sample, choose the model that matches your film, and press “measure”. You have results within seconds. 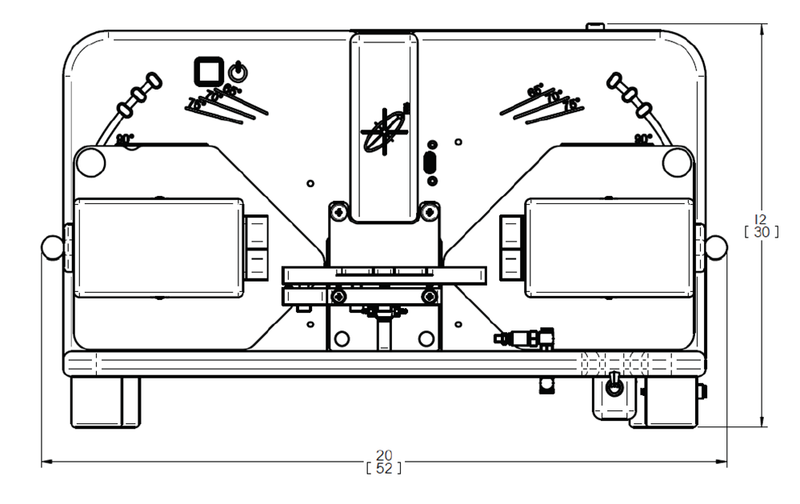 Push-button operation is complemented by advanced software that takes care of the work for you. 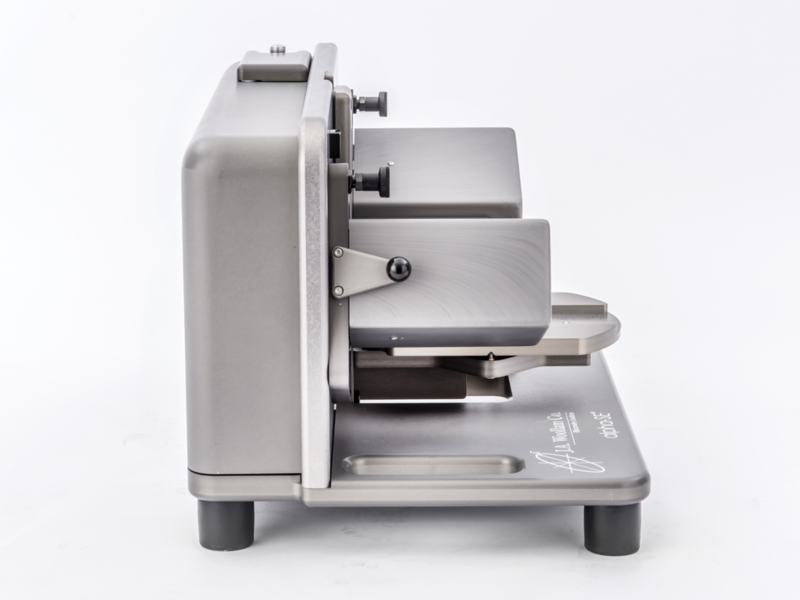 Proven spectroscopic ellipsometer technology gives you both thickness and index with much higher certainty than other techniques. 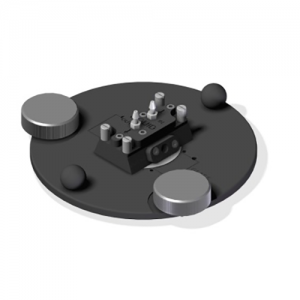 Works with your materials – dielectrics, semiconductors, organics, and more. 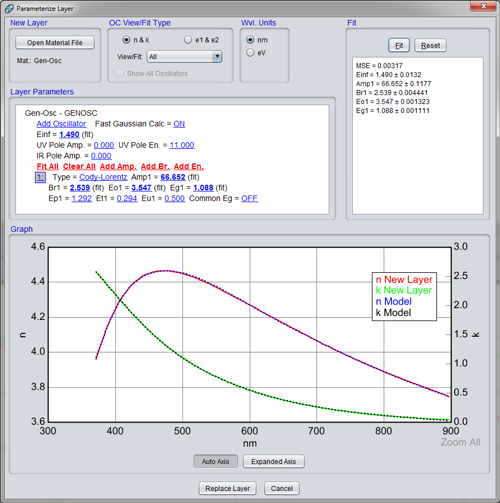 Spectroscopic ellipsometry for simple sample systems. 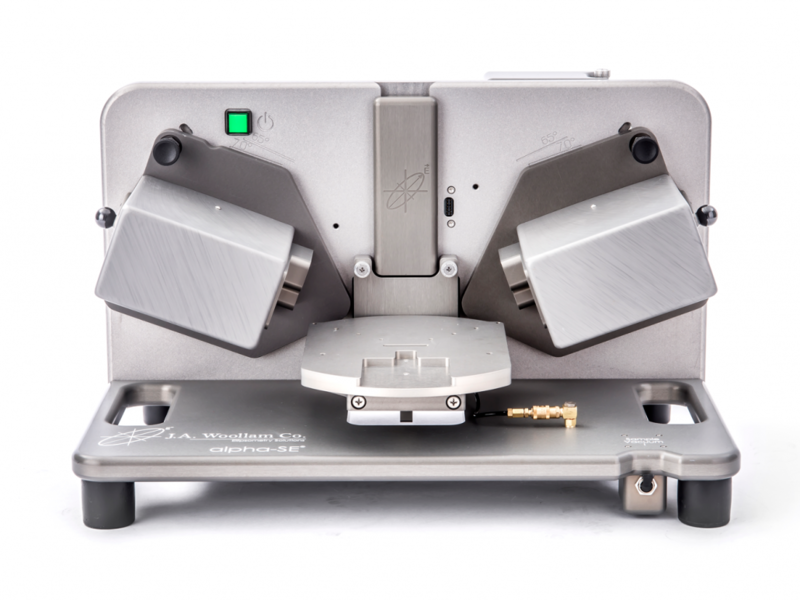 Hundreds of wavelengths simultaneously collected in seconds for immediate results. 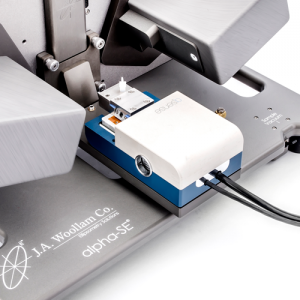 With fast measurement speed and push-button operation, the alpha-SE® is ideal for qualifying thin films. 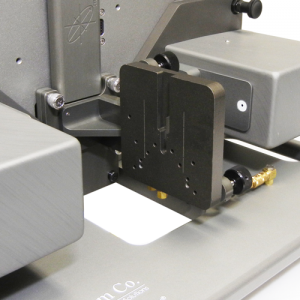 Single-layer dielectrics on silicon or glass substrates can be measured in seconds. 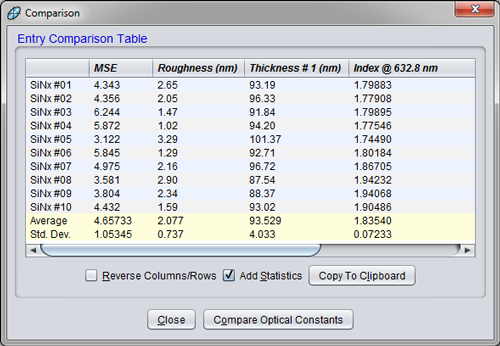 Log results for easy-to-use comparisons in both graphical and tabular formats. For organic layers on golf, the phase parameter (Delta) shifts downward with increasing thickness. 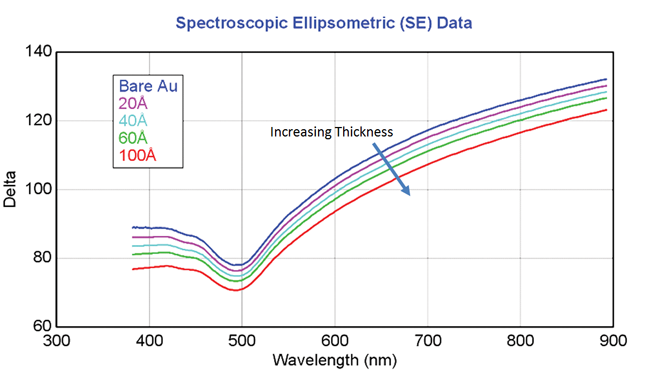 Phase information of a spectroscopic ellipsometry measurement is highly sensitive to very thin films (<10nm). Self-assembled monolayers can be assessed and quickly compared using the alpha-SE. For organic layers on gold, the phase parameter (Delta) shifts downward with increasing thickness. 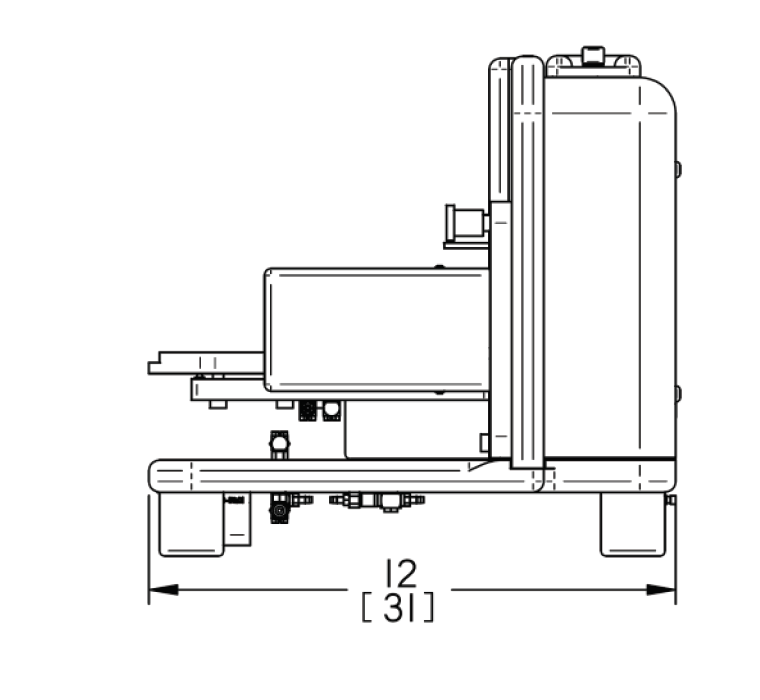 Advanced models provide quick and efficient fits for a wide variety of materials you may encounter. 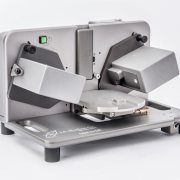 Patented technology allows accurate measurements on any substrate: metal, semiconductor, or glass. 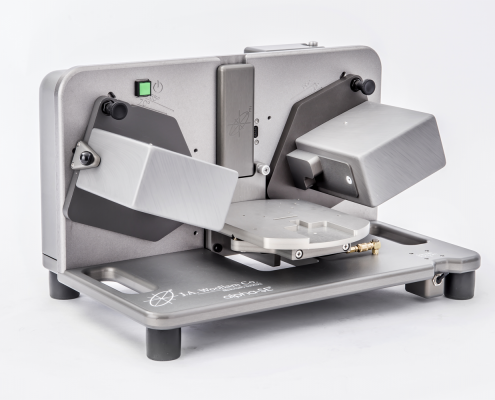 On transparent substrates, the alpha-SE® measures depolarization to correct for light returning from the backside of the substrate. 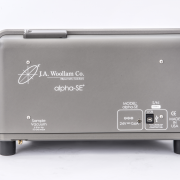 This unwanted light can confuse other ellipsometers, but the alpha-SE® ensures accurate optical constants. 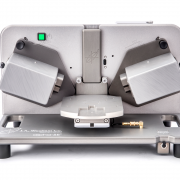 The high sensitivity of alpha-SE technology provides microstructural details that you can not get from Reflectance measurements. Here a thin film of Titanium Dioxide is measured with the alpha-SE and its index is found to vary between the substrate and surface. A graded model best describes this sample. 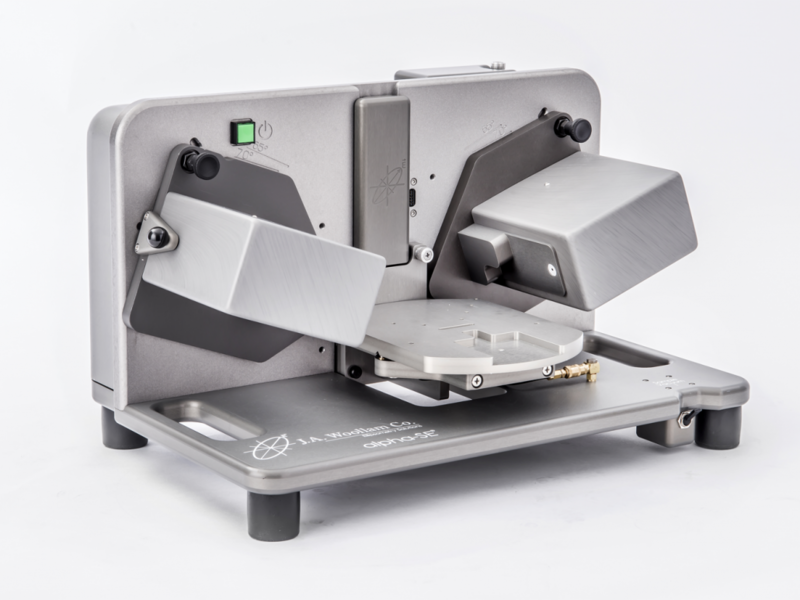 Holds sample vertically in the path of light beam to allow normal incidence transmission measurements. 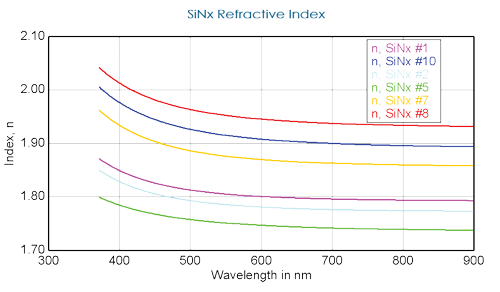 What advantages and limitations does the alpha-SE have compared to other UV-VIS-NIR models? 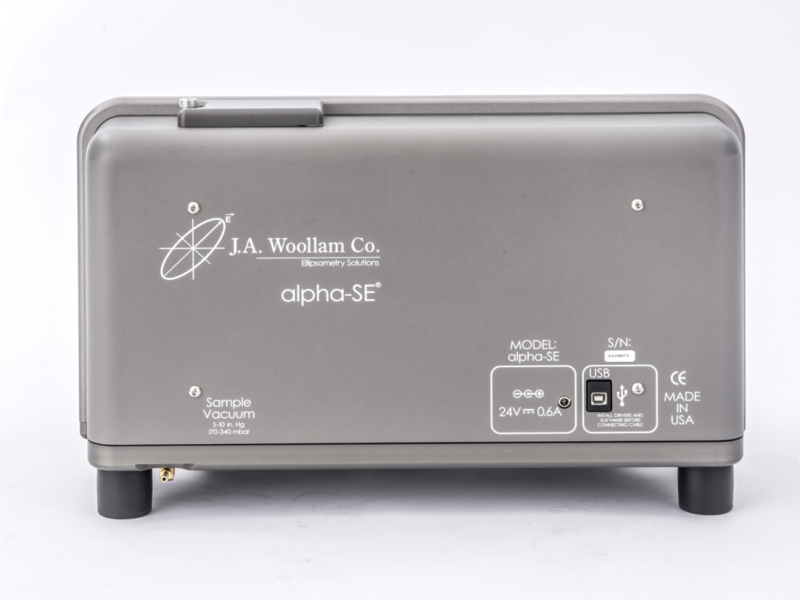 The alpha-SE is more compact and more affordable. It does not have as many configuration, upgrade, or accessory options. 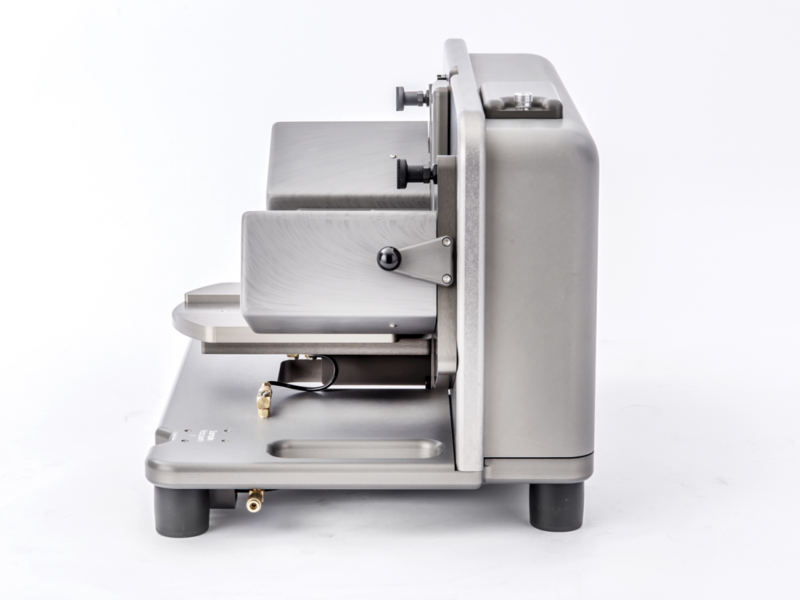 It is fully capable of determining film thickness, optical constants, and other properties of interest typically determined by ellipsometry. Can the alpha-SE be used in situ? No. 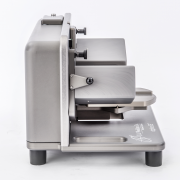 The alpha-SE was specifically designed for benchtop use.